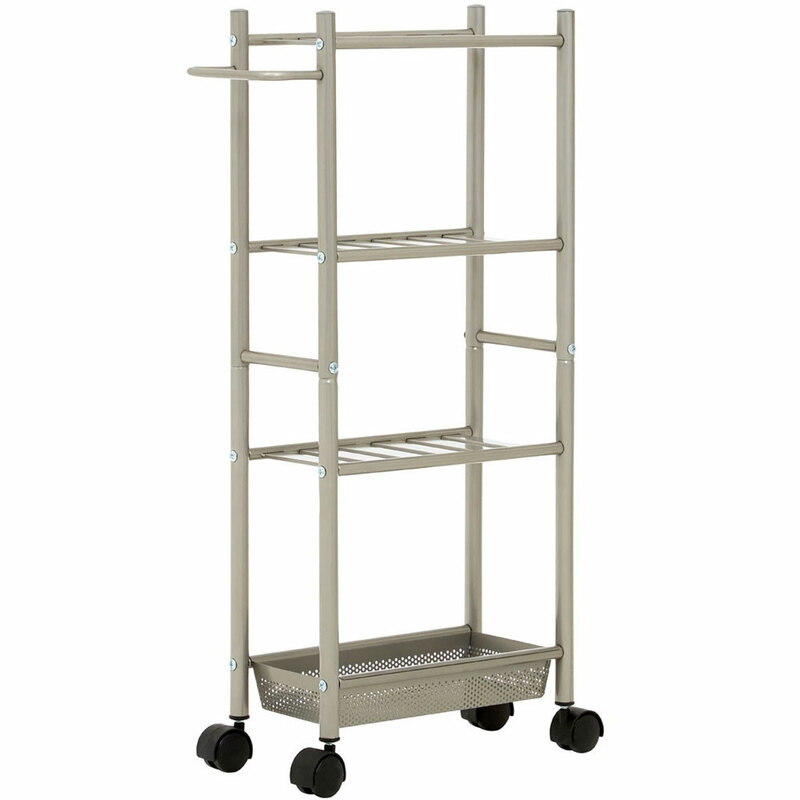 With its brushed nickel finish this trolley is the perfect way to introduce is perfect to add a metallic accent to any room. 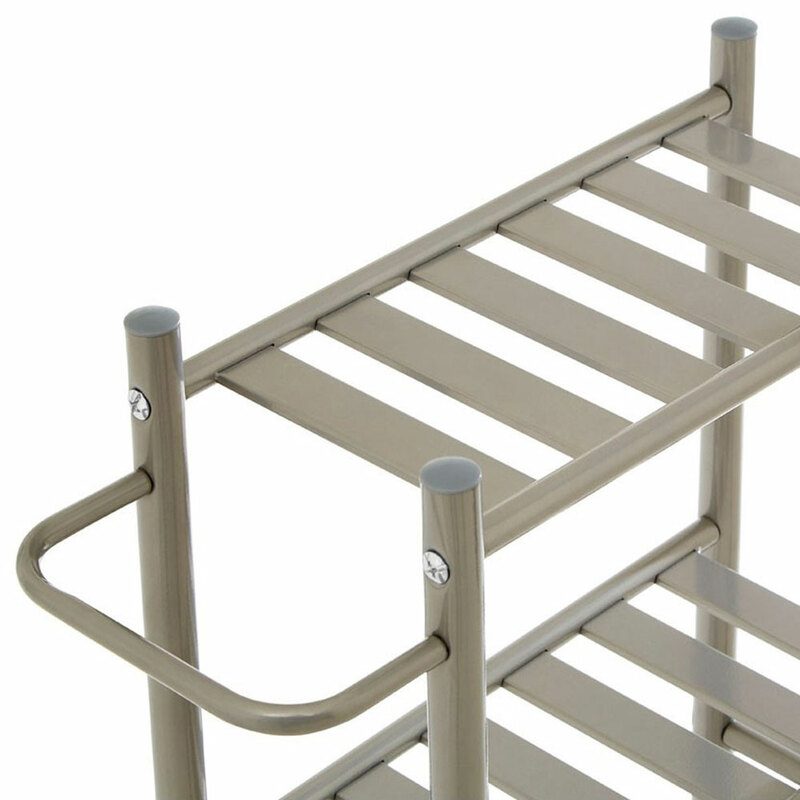 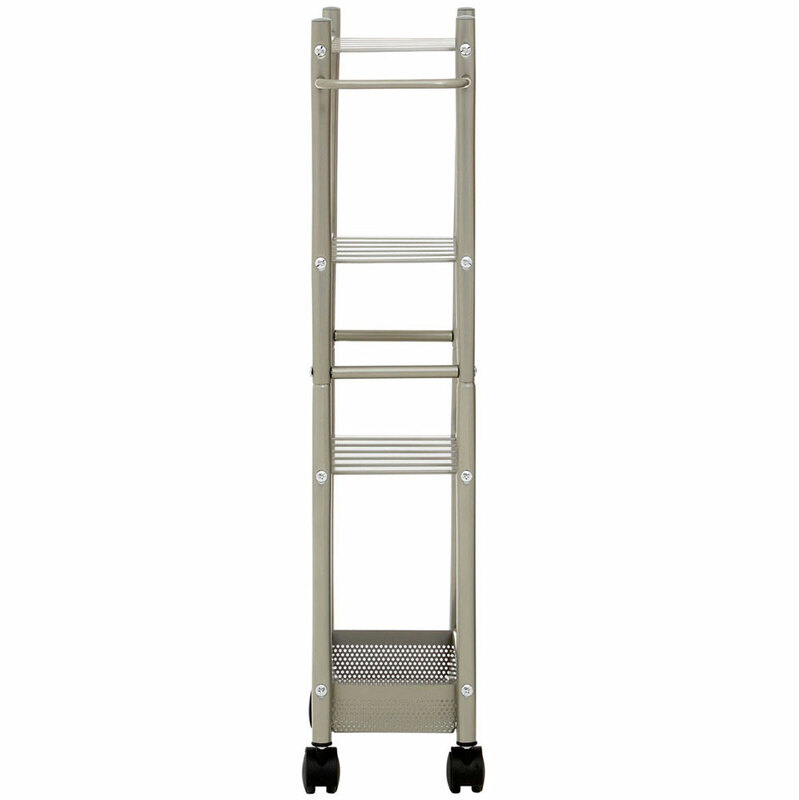 Its black caster wheels and wide handle which doubles as a towel rail allow it to be manoeuvred easily. 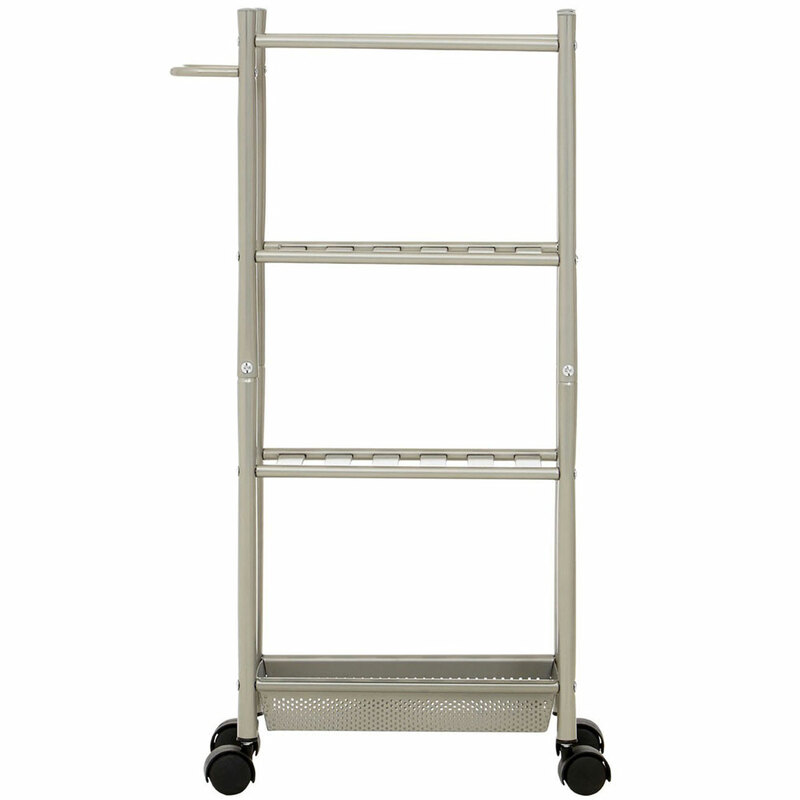 It features three slatted shelves with lots of room above for access. 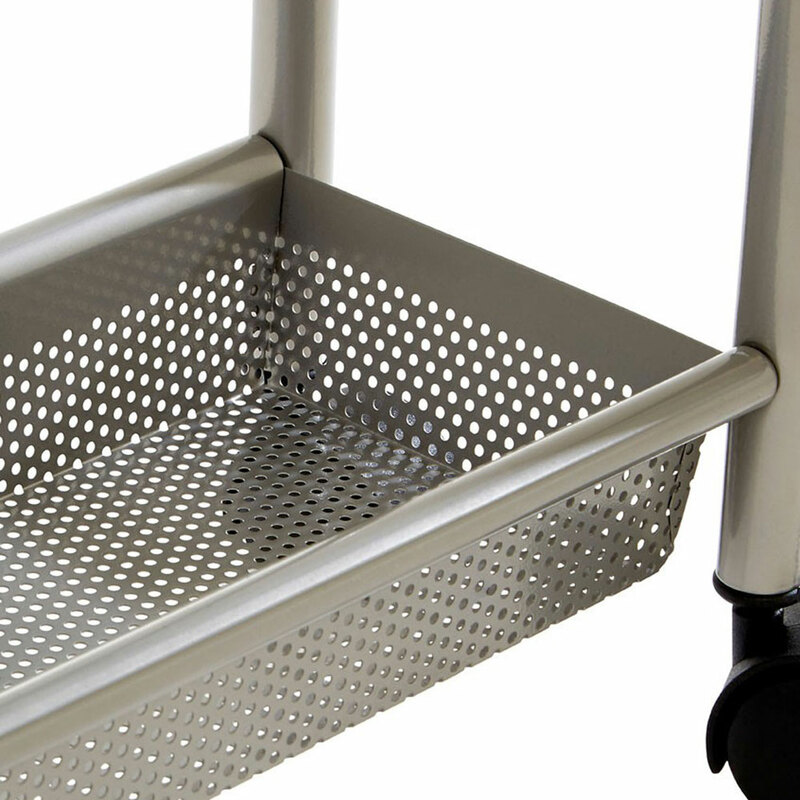 The basket has a matching brush nickel colour and boasts a perforated design.